Leverage is when your invested cash is used to buy or sell foreign currencies that are worth far more that the investment. Simply put, leverage gets you more currency than you pay for. When you buy\sell a leveraged currency, the sum you invest is called the Margin. The margin is used by your broker as a deposit for the currency you buy or sell. Foreign currency trading companies have various criterions for opening a margin trading account, and there are different margin accounts available for you. usually moving from one to two thousand dollars deposit for each trading day. 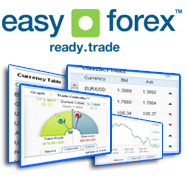 Upon opening an account the trader gains overwhelming leverage – up to 0.5%! In example - in order to execute a 200,000 dollar transaction you'll need only 1000 dollars in your margin trading account, thus minimizing the personal funds invested in every transaction. With leverage you not only win big, but lose big - It's very important to remember that a margin account can enlarge your profits as well as your losses. So while you are upscaling your currency trading profits, any losses will also become greater for leveraged foreign currency. If you get a margin call, it means you've lost 75% of your initial investment, and you need to invest more to continue having the leveraged currency. Leverage allows more people to trade - As a result of the size of the forex market (more than 1.9 trillion dollars each day), most of the trade is being made in $10,000 lots. This could have blocked the small forex traders, who are reluctant to risk such sums, out of the forex market. Fortunately the forex market provides extensive leveraging options that are far better than you can find in any other financial market. The initial margin requirement is the minimum investment you need to make in a foreign currency trading action. Your margin account is very much like your regular bank, where you can deposit and withdraw your capital. All of the margins accounts are closed at the end of the trading day and all gains and losses are assessed into the end balance. This is called the Rollover.